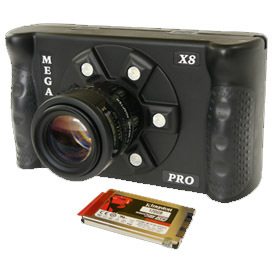 The HHC X8 PRO is a portable high speed camera. The HHC X8 PRO has a 640 x 480 touch screen interface and records 4000 fps at 1280 x 800. Re-Moveable SSD for the industry’s fastest flow.